When will tickets go on sale for the 2019 Red Bull Air Race? 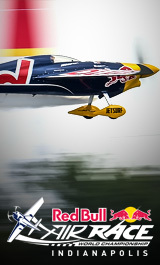 Can fans enter through Gate 2 for the Red Bull Air Race? Gate 2 for the Red Bull Air Race is a credentialed gate for Media and Pilots. Fans should use Gates 9 and 10 to enter the track. With the race course primarily covering the infield, all seating areas will be in the Northwest Vista, the North Vista and the Northeast Vista. All stands are not covered and will feature benches with no back rests. Access to all grandstand areas is by stairs or ramps. View detailed seating map. For specific questions, please call the IMS Ticket Office at 317-492-6700 or 1-800-822-4639. The Indianapolis Motor Speedway provides accessible seating, parking and facilities for individuals with disabilities. Tickets are available for wheelchair-accessible and companion seating in multiple locations around the racetrack for purchase via the IMS ticket office. Accessible seating areas have the closest spectator parking and adjacent accessible facilities (restrooms, retail shops, concession stands, etc.). Please contact the IMS Ticket Office at 317-492-6700 or 1-800-822-4639 between 9 a.m. – 5 p.m. (ET) Monday through Friday for further details and ordering information. Reserved Seat Ticket - Every person, regardless of age, must have a Reserved Seat ticket for admittance to reserved seating areas on Race Day (Sunday). Single day admission tickets for practice/qualifying (Saturday) and Race Day (Sunday) may be purchased at any open gate on event days. We will also have remote ticket trailers available where you may use a credit card. General admission tickets are also available in advance through the IMS Ticket Office at 317-492-6700 or 1-800-822-INDY (4639). Saturday General Admission - Good for admission to grounds and general admission areas on Saturday. Race Day Reserved Seat Ticket - Good for admission to grounds and to a designated grandstand and seat on Sunday. Also includes General Admission access. Race Day General Admission - Good for admission to grounds and first-come, first-served grandstand access in the lowest 10-12 rows of the Northwest Vista, the North Vista, and/or the Northeast Vista. 2-Day Reserved Seat - Good for admission to grounds on Saturday and Sunday. Includes General Admission ticket on Saturday and Reserved Seat on Sunday. Ticket mailings begin in September of 2019. All parking passes, camping passes, hangar passes and hospitality products cannot be printed at home.